Work Hard. Play Harder. 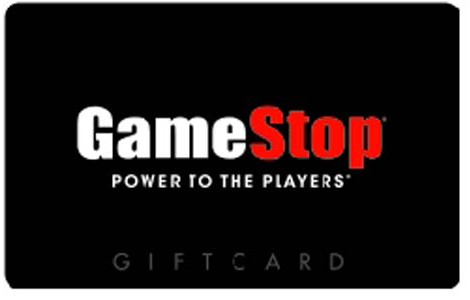 Use the GameStop gift card for incentive programs, fundraising, or a reward program for your business, school or organization. Reward your star employees and students for a job well done, and let them know that it is okay to play hard! National Gift Card is the best place for you to order EB Games gift cards in bulk. We are the experts in all things gift cards and can set up your gift card solutions program for you today. Please contact us for more information on EB Games call us at 888-472-8747 today! This card can be used to purchase merchandise only in the U.S. GameStop stores listed below or at either GameStop.com or EBgames.com. Except where required by law, it may not be returned, redeemed for cash, or applied as payment on any account, and will not be replaced if lost or stolen. This card is not a credit card or a debit card and carries no warranties, expressed or implied. This card is issued by and represents an obligation of Marketing Control Services, Inc. (a Virginia corporation), which reserves the right to change these terms and conditions. Void where prohibited. To obtain your card balance, call 1-888-818-2915. GameStop® and/or Marketing Control Services are not a sponsor or co-sponsor of this promotion. Please see back of gift card for terms and conditions of use. GameStop® and/or Marketing Control Services are not liable for any alleged or claims related to this offer.